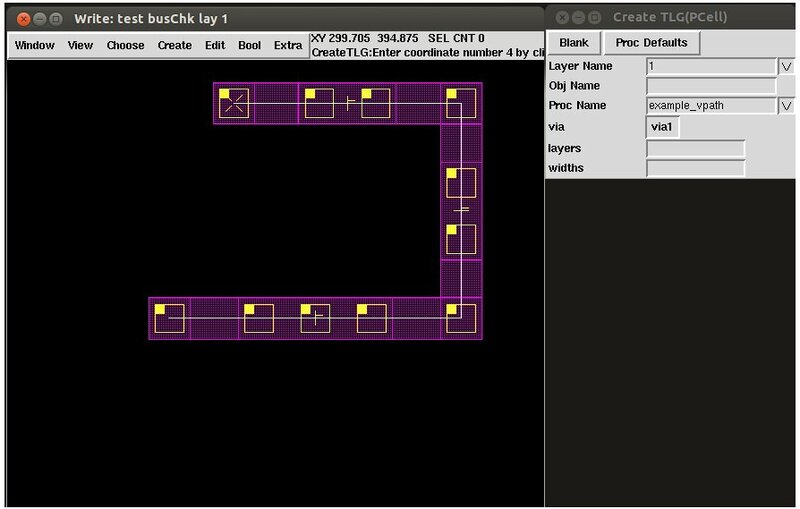 Slam-Edit is an IC mask layout editor. The editor is a full featured editor with all the standard commands expected in an editor. It is unmatched in terms of editing speed and memory footprint. If your waiting to open, edit and stream out your design using your current editor, you must look at this editor. The editor provides some unusual features not found in competitive products. 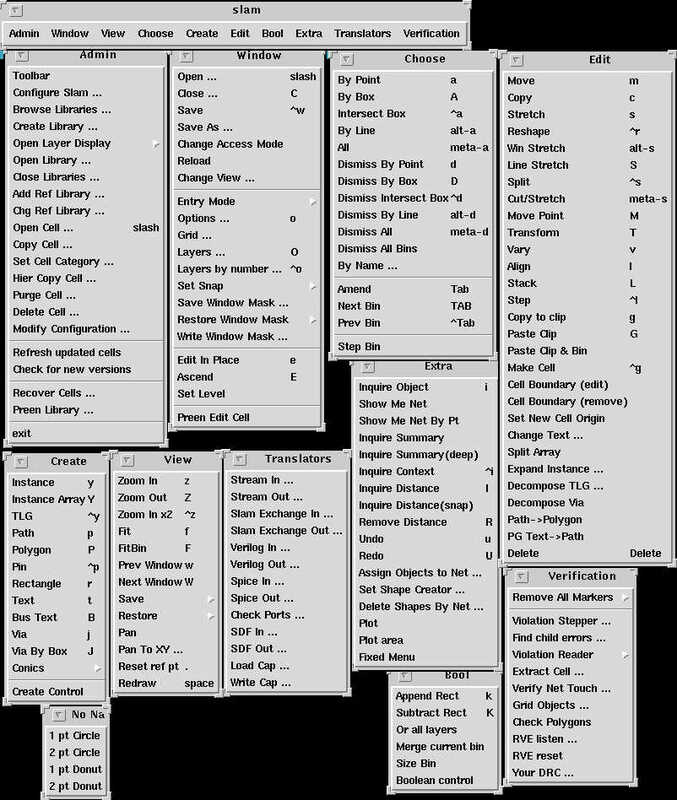 For example, the editor supports 16 selection bins. This feature allows objects to be protected from selection by putting them in an unused bin. The editor allows selection amendment. This provides the capability to switch to the next most likely candidate when the wrong object was selected. By providing 16 candidates with each point selection, you will almost never need to alter selection masks to get what you want. The editor also provides lots of little improvements like a lock manager that doesn't leave locks around from dead processes. The editor is in use in over 60 locations. Its primary application is IC, but has been used for "MEMS layout" too. The current 3.10.1 release can now dynamically display the name of the net of the shape under the cursor. All shapes associated with the net can be optionally hilited as well. * Oasis in/out translators. Oasis is the next generation replacement for stream. * Exchange in/out translators. Exchange is our ascii file format and allows altering a database using a text editor. 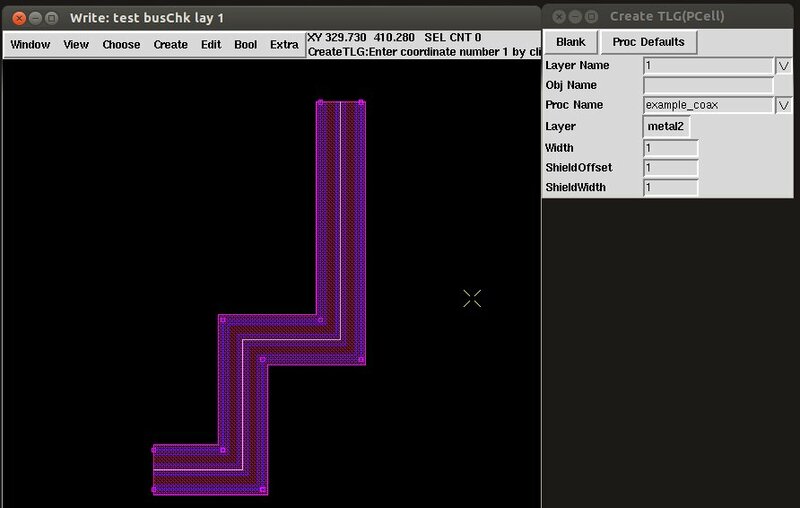 * PDF generation of layout and cross sectional layout views; An example cross section with both a vertical and horizontal cut lines generated with a black and a white background. Note in the image that diffusion corners can be rounded or the entire profile can be customized providing a more realistic view of the diffusion edge. * Vector PDF plot output of layout with optional legend. * Violation Viewer to step thru 3rd party DRC result. The VV system has a unique ability to remember false errors when loading a new DRC result. Current file formats supported include Quartz, Silvaco, Nano-Route, Calibre, Assura, ICV and Hercules. Here is an example of a metal1 spacing violation from a Hercules run. Error is in white, metal1 is in blue. All other layers were turned off for this example. 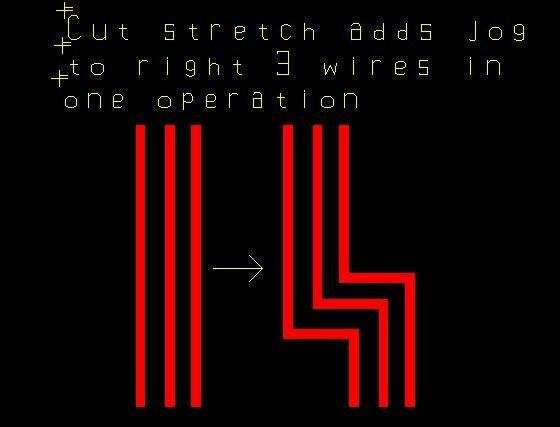 * Complex TLG's(programmable cells) can be built such as a via string, coax, and multiple path generator. * Tap ring command. 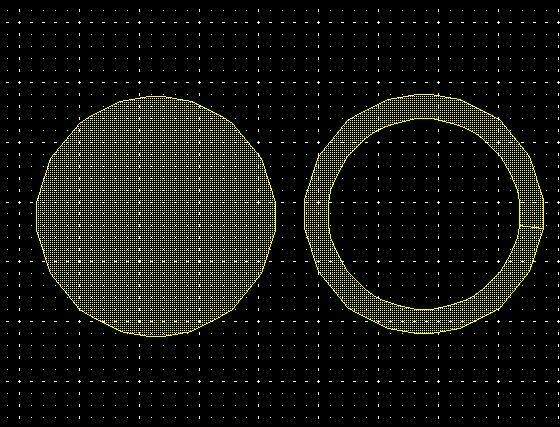 This animated image shows how the ring command can easily insert an isolation ring around devices. Note the tap ring is one example of a closed polygon TLG. By making the TLG a closed shape, it can be stretched easily and maintain the enclosing well shape. The closed shape can be marked as "cutable" to indicate that when it is split, it is to be duplicated with a closed uncutable shape and multiple open paths as shown here. Note the enclosing green well layer is unmodified after the contact ring has been sliced. * Add via command that can automatically select the via based on overlapping layers. Add via in auto mode will create via arrays for wide metals. * Add via by box that can add a via array over an area. Array of vias will be no larger than specified box, and array will be at center of box. * Via objects contain the metal (or diffusion layers) with correct enclosure for fast editing. 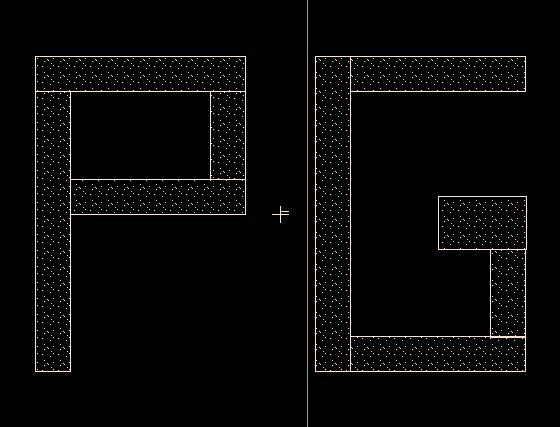 * AA->Orth command to convert any angle polygons into orthogonal ones. Very useful if you want to staircase polygons before the mask writing software does it. * Stroke recognition for command entry. * Data saved on crash or kill; data can be easily recovered even after program error. This mechanism even catches most X server failures, providing data recovery.